Whether you are moving an office of 12 or 12,000 across the country or across town, your office move is important to us and our office movers will make sure it is planned, managed, and executed efficiently. Your move incorporates a lot of moving parts, that’s why we employ a detailed office moving process that troubleshoots every issue and avoids the pitfalls that can cause problems, delays, loss and breakage. 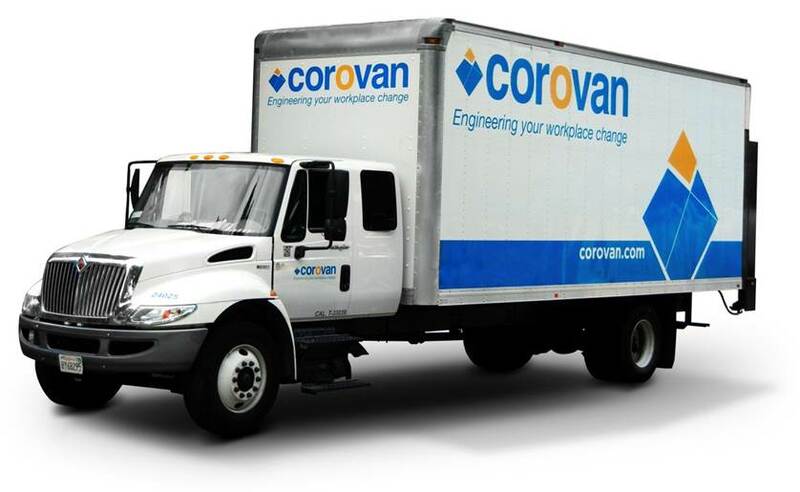 Corovan specializes in office moves, and handles over 50,000 moves on average per year. Our service areas include San Diego, Orange County, Los Angeles, Inland Empire, San Jose, and San Fracisco Bay Area. Corovan’s office movers have the experience and flexibility to work with you to achieve your expectations. The right move plan makes a big difference in the success of your office moving cost and timeline. 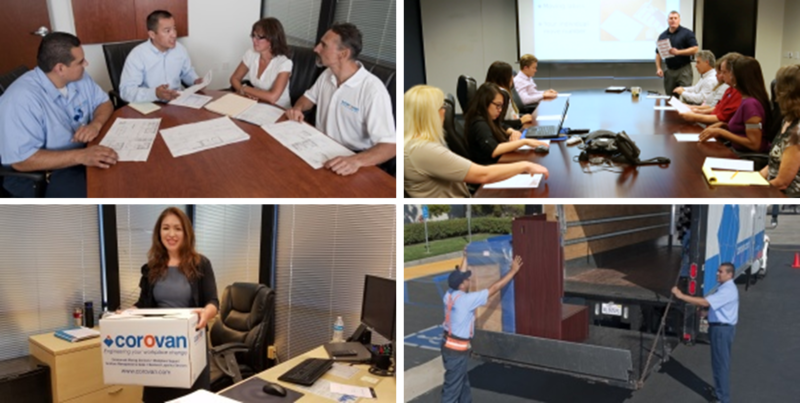 Corovan office movers are here to work with you to customize a plan to address your needs, including safety procedures and packing instructions for your end users to ensure the move process is seamless. Whether you are moving a small office or multiple buildings, you’ll have great peace of mind knowing our office movers are here to manage the entire project, making sure we use the right moving equipment, packing materials, as well as assigning the right manpower for the job. The day of your office move shouldn’t have to be stressful with last minute surprises and chaos. 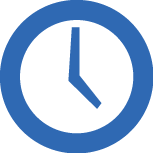 Our professional office movers’ goal is to help you achieve a seamless office move with little downtime as possible. Our project manager will be there to monitor the move and provide you with updates throughout the process. As your team settles into the new space, there could be additional changes and reconfigurations required. It is the officer mover’s job to make sure you and your team are taken care of, and that your business is up and running with as minimal disruption and downtime as possible. Ready to make the right move?Talk to our office moving expert and get a free quote today!